There's nothing quite like a frosty frozen cocktail when you're on vacation, but years of imbibing in San Francisco's best bars have made me more discriminating, even about poolside drinks! One of my favorites is John's watermelon-basil mojito, codified the first summer I brought John along to my parents' house. He introduced cocktail hour, and my mom was always bringing in fresh herbs; it's hard to replace a classic, but I'm still smitten with this slightly sweeter version–and it's perfect for National Watermelon Day! Place watermelon and basil leaves at the bottom of a cocktail shaker and muddle. Add simple syrup, lime juice, rum and ice; shake for 5-10 seconds. 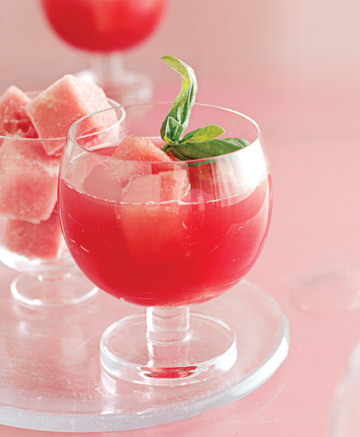 Strain into a tall glass with ice, and garnish with a slice of watermelon or basil. Notes: Of course Martha'd have the genius idea to freeze cubes of watermelon for "ice"; it keeps your drink cold without diluting the alcohol or flavor. I love Barbancourt 8 year rum, but this cocktail would be delicious with any brand–cheers! I'm not big on frozen drinks, but this is something I would make an exception for. It sounds delicious! Watermelon ice cubes = genius! Wowza. This is probably the most perfect frozen drink I've seen. Course it helps that has two of my favorite ingredients! I agree! This sounds like Summer in a glass. 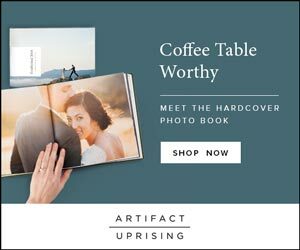 I need it. Pronto. That looks so delicious! Watermelon is so perfect for these hot summer days! Yum yum! Looks delicious and refreshing! That cocktail is amazing, I could say that it really is a great.